The German Federal programme on organic farming and other forms of sustainable agriculture developed practical cultivation strategies with the aim of improving soil fertility and plant nutrition. During the five-year project, some new practical knowledge was gained. These findings are listed in the booklet. Reading this guideline should encourage farmers to intensify the cultivation of grain legumes. 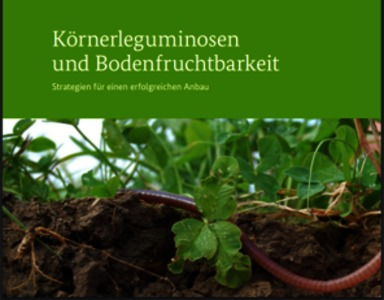 Um der grossen Bedeutung des Bodens gerecht zu werden, entwickelte das „Bundesprogramm Ökologischer Landbau und andere Formen nachhaltiger Landwirtschaft“ (BÖLN) praxisnahe Anbaustrategien mit dem Ziel, die Bodenfruchtbarkeit und Pflanzenernährung zu verbessern. Im Laufe des fünfjährigen Projektes kristallisierten sich viele praxisrelevante Erkenntnisse heraus, die nun in der Praxisbroschüre "Körnerleguminosen und Bodenfruchtbarkeit - Strategien für einen erfolgreichen Anbau" nachgelesen werden können. 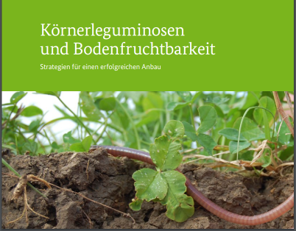 Die Lektüre des Ratgebers soll Ackerbauern ermutigen, den Anbau von Körnerleguminosen zu intensivieren. Improve your soil quality trough intensified grain legume cultivation! As a preceding crop, grain legumes have a positive effect and improve the soil quality. Unfortunately, the knowledge about their cultivation has been largely lost. The guideline for the cultivation of grain legumes provides detailed recommendations on field selection, tillage, sowing, plant protection, fertilisation, weed management and the choice of variety and preceding crop.